Ok, Ann Taylor has been killing it lately. I mean, have you seen their most recent set of new arrivals? 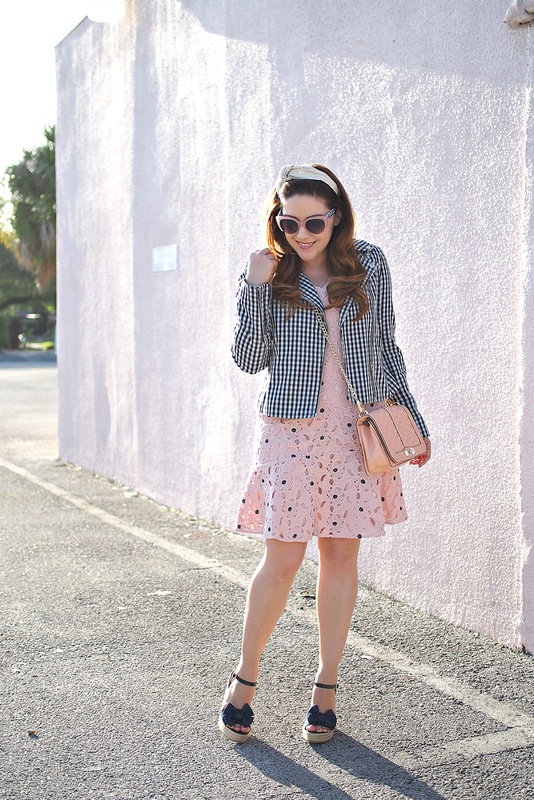 I immediately scooped up this gingham dress for half off! This sale, which is 50% off everything, ends tonight by the way, so don't delay. Ann Taylor is definitely not just your mom's store anymore. I have linked more of my favorites below. But back to this sweet little frock. I scored this pretty pink lace dress with navy blooms a couple weeks ago (during a 40% off sale). I love it because it's so feminine and delicate. I plan on layering a silk navy blouse underneath for work. 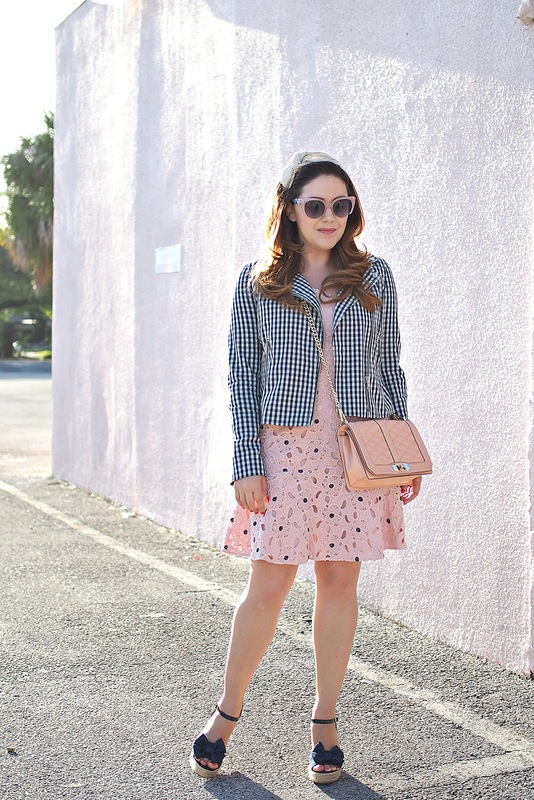 For play, however, I went with my favorite gingham jacket to juxtapose the dress's delicate nature. I am a little embarrassed to admit how excited Kelly and I were to find this pink wall just 10 minutes from where we live. We have been searching for a pink wall for ages. It's a simple background but photographs beautifully. It was the perfect backdrop for this pink, navy, and gold look.